Are you looking for the BEST personal fundraising ideas to make sure that you actually raise the funds you need?! You've come to the right place then!!! Below you will find the top 5 Fundraising Ideas for any personal cause. With the first being the fundraiser that can link them all together, and that gives any individual the potential to fundraise successfully. But please remember that no matter how great the idea, the actual success of your fundraiser will come down to your planning, effort and execution. So please ensure that you read all the advice given for these ideas on this page, and on their corresponding pages! As I alluded to above, this is the ultimate fundraising idea for an individual. Because you don't already have a method or process for accepting donations, like most Charities do, a Crowdfunding page is your tool for easily accepting donations and sharing your fundraising cause from a convenient place on the web. Of all the Personal Fundraising Ideas this is the first one you should setup! You setup a donation page on a Crowdfunding Platform like this one for FREE (which is designed in a way to give you the best chance for successful fundraising). You then share that fundraising campaign and page, with everyone you know, through Social Media and other promotional methods! Obviously there are certain steps to take to ensure that you have success with this. So I would highly recommend that you take the time to read all three Online Crowdfunding success pages to learn how to hold a super successful fundraiser! 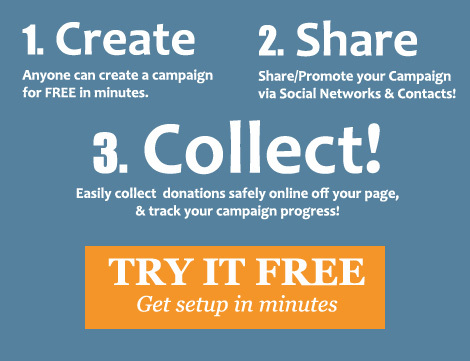 Read the 10 Step Guide to creating and running a SUPER successful Online Fundraising Page. In 2008 I did a 300 mile cycle from Buckinghamshire to Cornwell to fundraise for my studies. It was one of the most successful fundraisers I did! I took sponsorships and donations directly from people, and online through PayPal, off a website I built. If only I had made use of a Crowdfunding platform (which I was unaware existed at the time), my fundraising would have been far simpler and more successful. It was still a fantastic campaign and this type of fundraiser really holds huge potential - especially now that it's so easy to accept donations through a Crowdfunding Platform. Then, setup some methods for taking sponsorships both offline and online (obviously online through a Crowdfunding Page). And then publicize and promote as much as possible!!! 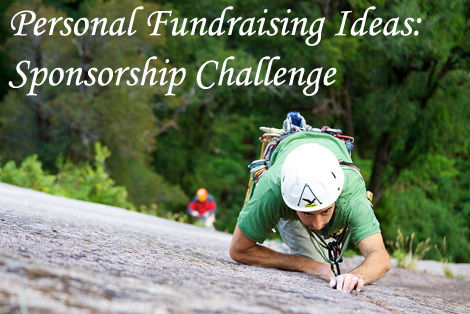 As personal fundraising ideas go, this type of challenge idea is one of the best ways to create some AWESOME awareness towards your individual fundraising campaign. ...Would be to do a Pledge Based Challenge. This is where you get supporters to a pledge a certain amount for each completed action. For example someone could pledge $1 for every length of pool swum, or every Kilometer run or cycled, or for every hour sat in silence. For this idea though you will need some specialized software to take pledges online. One of the popular software providers for this is DoJiggy, and you can read my review on some of their Software here. I recommend you consider this idea after that of a sponsored challenge, as it takes far more work and organizing to do! But it can be just as profitable, and even more profitable, if done properly. 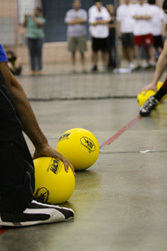 How it works is you will setup a sporting day/competition, find participants and raise funds through various methods. The most popular sporting event for fundraising (for individuals and charities) is a Golf Day, and is the event I would recommend you consider first. Your other option is to hold a dinner style event. This could be a Theatre Evening, a Trivia Evening, or even a Dueling Pianos Fundraiser. Absolutely!!! A raffle is super simple to put together, has big potential depending on your prizes and resourcefulness, and can compliment any other fundraiser under the sun! Use it correctly and you will raise fantastic funds! And it's definitely doable for any individual. For some great personal fundraising ideas with Raffles read here. This personal fundraising idea is perfect for those that have time on their hands. Companies will pay individuals for completing different actions online - for example, taking an online survey or surfing their websites - and it can be very lucrative. The difficult part to this is actually finding the companies that are paying for those actions. ...An Online Get Paid Guide comes in. It is essentially a service that finds all the websites and companies that pay for you to take surveys, etc. and delivers them to you in an easy to 'use' format. For example one of the popular guides is Paid Surveys at Home. Take a look to see what they offer. For info on this fundraiser and how to use it successfully, take a look here. 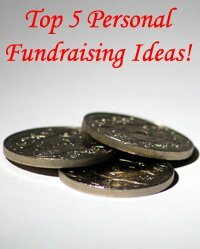 Top 5 Personal Fundraising Ideas! For more personal fundraising ideas take a look here!